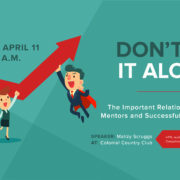 Join us for our GFW PRSA half-day workshop on Wednesday, October 10, at Colonial Country Club! Improve your pitching success rate and enhance your PR writing with Michael Smart’s PR tips. Learn specific, actionable strategies you can apply immediately to re-charge your media outreach and hone your PR skills at PRSA’s half-day workshop on Wednesday, October 10. The luncheon following the workshop will focus on reaching influencers and journalists in the new media relations landscape. An independent communications trainer, Smart is regularly among the highest-rated speakers at the industry’s largest conferences. A former newspaper journalist, Michael has won national and regional awards for news release and feature writing. https://fortworthprsa.org/wp-content/uploads/2018/09/PRSA-June_2018_OctoberProgram-02.jpg 140 601 Hannah Lacamp http://fortworthprsa.dividesignpros.com/wp-content/uploads/2019/01/GFWPRSALogo2018-300x287.jpg Hannah Lacamp2018-09-07 09:43:292018-09-07 09:44:04Join us for our GFW PRSA half-day workshop on Wednesday, October 10, at Colonial Country Club! It was skullduggery: You can’t always tell that a PR effort is headed in the wrong direction, but sometimes you can. And that’s what happened on September 13, 1988, when Democratic Presidential candidate Michael Dukakis visited General Dynamics. Dukakis had a double-digit lead in the polls, but his opponent, George Bush, had gained traction criticizing his positions on defense. 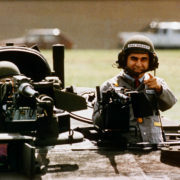 In an effort to reinforce his flank, the Dukakis campaign decided to have their man visit a defense contractor and be photographed riding around in a tank. That would have been fine, but then the candidate was told that he would have to wear a helmet during the ride. And that’s when the electoral wheels started coming off. Dukakis stands only 5’ 8” tall, and probably three feet of that is his head. So when the candidate put on the helmet, it was not the best look. How bad was it? The reporters on hand were seen laughing out loud; by one account, Sam Donaldson was literally doubled over. The Bush team was equally amused; they thought Dukakis looked like Mad Magazine’s Alfred E. Neuman, and had a great time saying to each other “Tank you very much.” You can see the infamous shot for yourself here. To this day, members of the Dukakis campaign disagree on exactly where things went wrong. But they all agree it was a PR disaster, and rightly so: By the next week, one poll found Dukakis’s support had dipped 25 percent. To this day, campaigns remain vigilant about preventing “Dukakis in the tank” moments. If only it were that easy, right? All of which should help us remember: While it’s always good to put on your thinking cap, first make sure it fits. Beat the Texas heat at Greater Fort Worth Chapter of PRSA’s Summer Happy Hour! 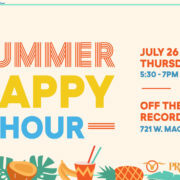 Join us at Off The Record West on Magnolia on Thursday, July 26, from 5:30-7 p.m., for a refreshing drink and great company. Attendees will be entered to win a free Worthy Awards entry (value of $75-100). The cost is $5 per person (appetizers included).